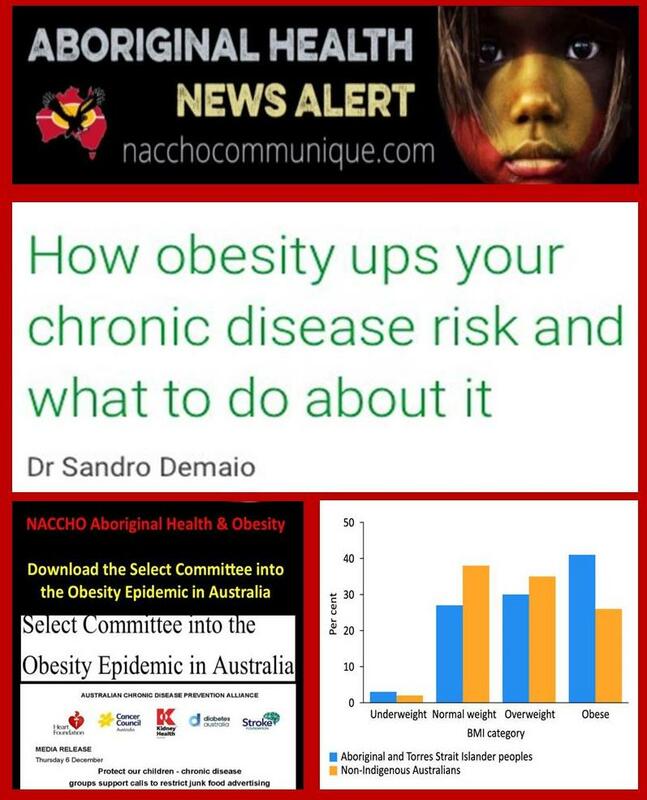 ” Almost two in every three Australian adults are now overweight or obese, as are one in four of our children. 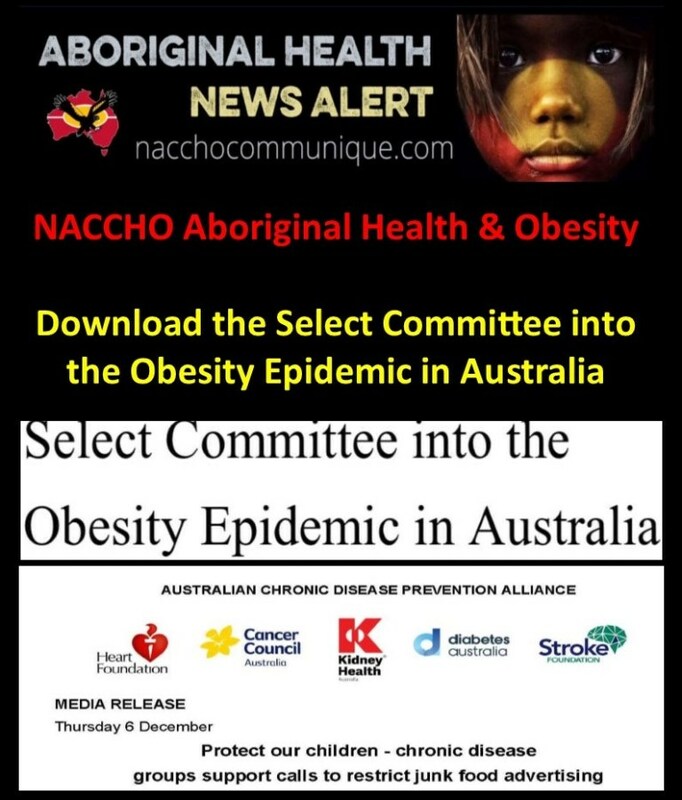 ” The committee heard that Aboriginal Community Controlled Health Organisations (ACCHOs) run effective programs aimed at preventing and addressing the high prevalence of obesity in Aboriginal and Torres Strait Islander communities. 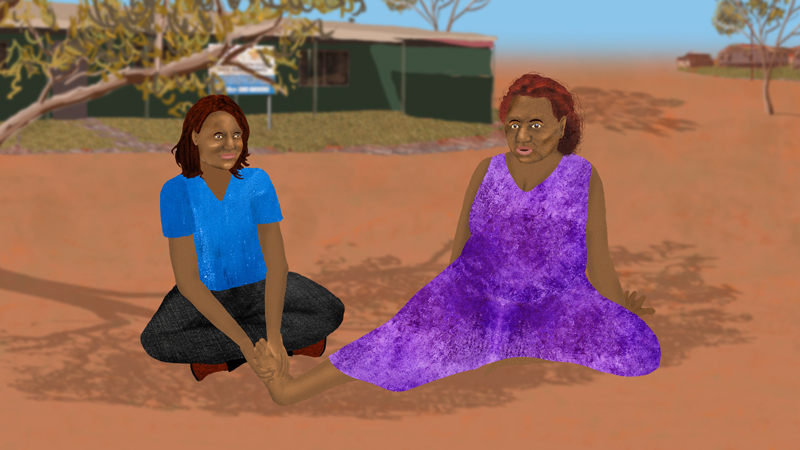 ” Many community members in the NT who suffer from chronic illnesses would benefit immensely from using Health Care Homes. Unfortunately, with limited English, this meant an increased risk of them being inadvertently excluded from the initiative. Chronic disease is a broad term, which includes type 2 diabetes, heart disease, cancers, certain lung conditions, mental illness and genetic disorders. They are often defined by having complex and multiple causes, and are long-term or persistent (‘chronic’ actually means long-term). How is obesity linked to chronic disease? 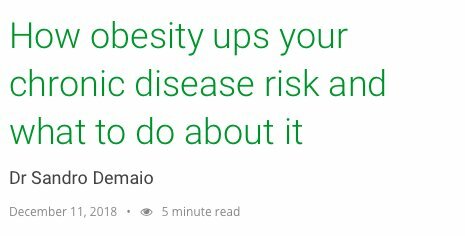 Obesity increases the risk of developing certain chronic diseases, including cardiovascular diseases (heart disease and stroke), sleep disorders, type 2 diabetes and at least 13 types of cancer. Obesity is the leading risk factor for type 2 diabetes, and even being slightly overweight increases this risk. Type 2 diabetes is characterised physiologically by decreased insulin secretion as well as increased insulin resistance due to a combination of genetic and environmental factors. Left uncontrolled, this can lead to a host of nasty outcomes like blindness, kidney problems, heart disease and even loss of feeling in our hands and feet. This is another chronic disease often linked to obesity. Sleep apnoea is caused when our large air passage is partially or fully blocked by a combination of factors, including the weight of fat tissue sitting on our neck. It can cause us to jolt awake, gasping for oxygen. It leads to poor sleep, which adds physiological pressure to critical organs. This is a disease of altered gene expression. It originates from changes to the cell’s DNA caused by a range of factors, including inherited mutations, inflammation, hormones, and external factors including tobacco use, radiation from the sun, and carcinogenic agents in food. Strong evidence also links obesity to a number of cancers including throat cancer, bowel cancer, cancer of the liver, gallbladder and bile ducts, pancreatic cancer, breast cancer, endometrial cancer and kidney cancer. Obesity is also associated with high blood pressure and increased risk of heart attack and stroke. Most dietary advice revolves around eating less. But if we can replace an unhealthy diet with an abundance of fresh, whole fruits and vegetables – at least two servings of fruit per day and five servings of vegetables – we can reduce our risk of obesity whilst still embracing our love for good food. Forgo that glass of wine or beer after a long hard day at work and opt instead for something else that helps us relax. Pure alcohol is inherently full of energy – containing twice the energy per gram as sugar. This energy is surplus and non-essential to our nutritional needs, so contributes to our widening waistlines. And whether we’re out for drinks with mates or at a function, we can reduce our consumption by spacing out our drinks and holding off before reaching for another glass. While not everyone loves a morning sprint, there are many enjoyable ways to maintain a sufficient level of physical activity. Doing some form of exercise for at least 30 minutes each day is an effective way of keeping our waistlines in check. So, take a break to stretch out the muscles a few times during the workday, spend an afternoon at the local pool, get out into the garden or take some extra time to ride or walk to work. If none of these appeal, do some research to find the right exercise that will be fun and achievable. There’s nothing like a bit of peer pressure to get us healthy and active. Pick a friend who has the same goals and encourage each other to keep going. Sign up for exercise classes together, meet for a walk, have them over for a healthy meal, share tips and seek out support when feeling uninspired. Some argue that sleep is the healthy icing on the longevity cake. The benefits of a good night’s sleep are endless, with recent research suggesting it can even benefit our decision-making and self-discipline, making it easier to resist that ‘between-meal’ treat. Furthermore, lack of sleep can increase our appetite and see us lose the enthusiasm to stay active. Above all, we need to foster patience and perseverance when it comes to achieving a healthy weight. It might not happen overnight, but it is within reach. 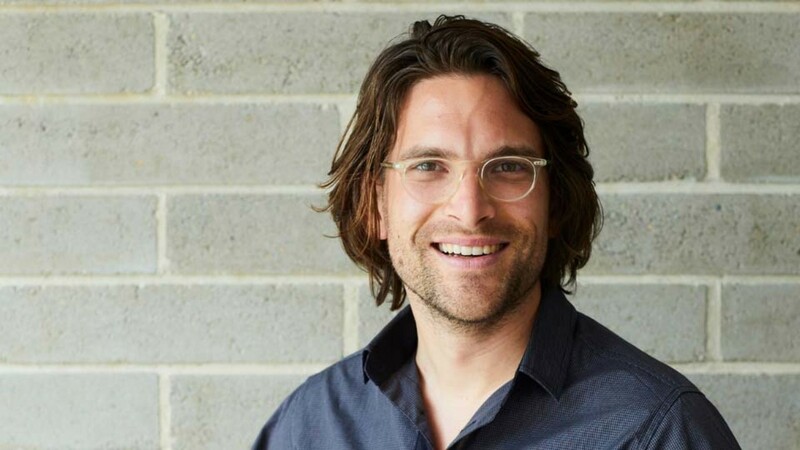 Co-host of the ABC TV series ‘Ask the Doctor’, author of 30 scientific papers and ‘The Doctor’s Diet’ (a cookbook based on science), Dr Sandro Demaio is an Aussie medical doctor and global expert on non-communicable diseases.